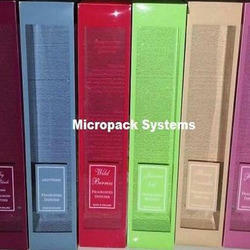 We are a leading Exporter of cosmetic transparent packaging box from Mumbai, India. We feel proud to introduce ourselves as the well-known manufacturer and supplier of Cosmetic Transparent Packaging Box. The offered transparent packaging box are very commonly used for packing goods and supplies. Our supplied transparent packaging box are widely used across the industry. The offered transparent packaging box are very affordable in price.